Grab your bikini and head for the beach! Whether you're a single looking for a wild weekend, or an intimate couple, Cancun is simply paradise. 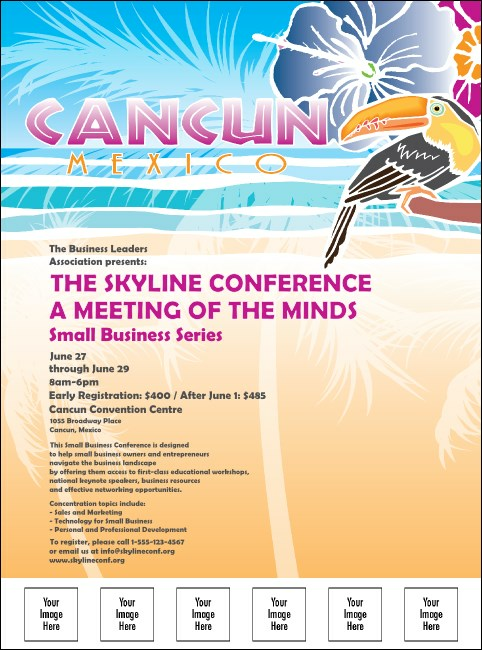 The Cancun flyer captures the fun and free spirit of Cancun and will help sell out every event. Upload up to six images to promote you're sponsors and save you money! Complete the look of your event! Check out TicketPrinting.com's Cancun Event Kit.